The Dutch always striked me as very inventive people :) I also think that they have great taste and on the 2 occasions I visited Holland, I loved to (totally inappropriately) stare into their apartments full of books and contemporary art. 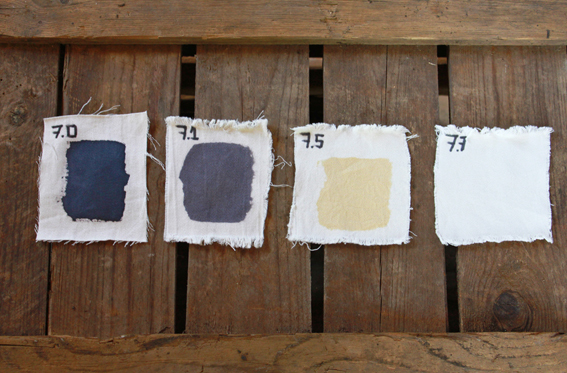 I am not least surprised to hear that it's a Dutch company, Refinity, who invented the newest eco-fashion solution: fabric ink that can be washed out and re-applied. Although it's still early days, it seems like something that will really make sense if used on the right fabrics. It combines fashion's short trend span with fabrics' long life cycle (effectively extending the shelf life of the garment). It will allow the owner of the piece to update the print as trends change which is fantastic. I look forward to hearing more about Refinity and their innovations and also getting my hands dirty with some ink - paisley print here I come! Such a pretty Unique dress!